Do you represent an Idaho State Government Agency and wondering how you should archive all your web and social media content? Are you trying to determine what you need to do both from a legal and a technical point of view? Here’s a guide to the different Laws and processes you should follow. What Laws govern Records Management in the State of Idaho? 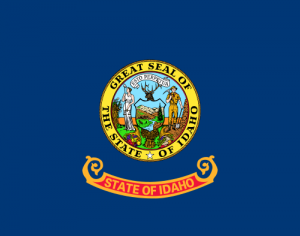 Idaho Public Records Law Idaho Code §§ 9-337 through 9-350 governs open records and official web and social media communication in the state of Idaho. Do Idaho Records Laws include Website and Social Media content? Subject to the Idaho Code, “Public record,” is an extremely broad and rightfully open concept. Legislation states that it “includes, but is not limited to, any writing containing information relating to the conduct or administration of the public’s business prepared, owned, used or retained by any state agency, independent public body corporate and politic or local agency regardless of physical form or characteristics.” Pursuant to that, “writing” means information maintained in many forms – and includes computer media. The law applies to all “public agencies”; which is subsequently defined as amy state or local agency. Therefore, due its broad scope, virtually every entity of state and local government is expected to comply with the Idaho public records law. State agencies should adopt policies that are consistent with best business practices (keeping in mind technological advances, costs and accessibility) and generally accepted principles of accounting to archive and retain records. All policies, technology and procedures shall remain consistent with the principles of the Idaho public records law. How can we transfer website archives made with PageFreezer to the Idaho Digital Archives? PageFreezer exports all data on request in the original file format including the required metadata. This data set can be transferred by FTP or by other means to the Idaho State or Agency Digital Archives.